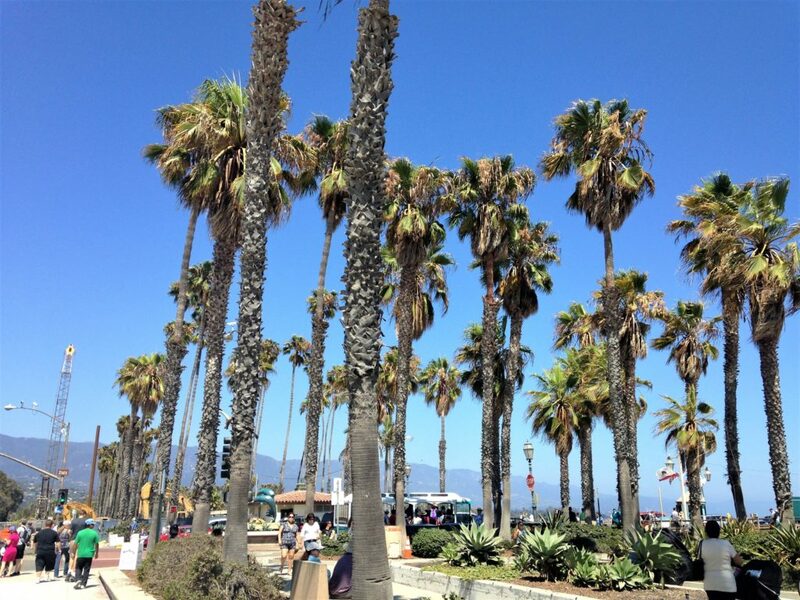 Situated between the majestic Pacific Ocean and the glorious Santa Ynez Mountains, Santa Barbara is one of the most popular tourist and resort destinations in California. Thanks to its Mediterranean climate and white stucco buildings, the legacy of the time when this area was a Spanish colony, the place has been often called the “American Riviera”. 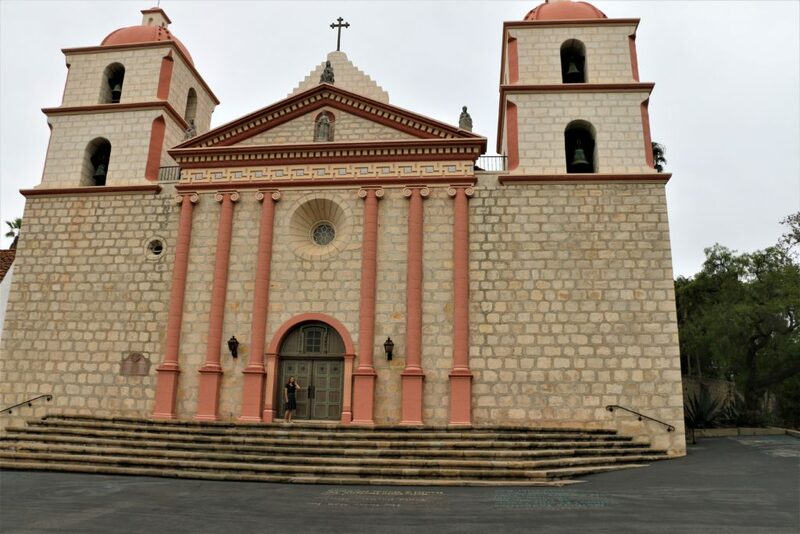 The city was named after Mission Santa Barbara that was established on December 4, 1786 with the intention to convert Native Americans to Catholicism. Coincidentally, founded on December 4, the Feast of Saint Barbara, the Mission received its name from the early Christian Greek saint and martyr Barbara who was beheaded by her rich pagan father for following the Christian faith. 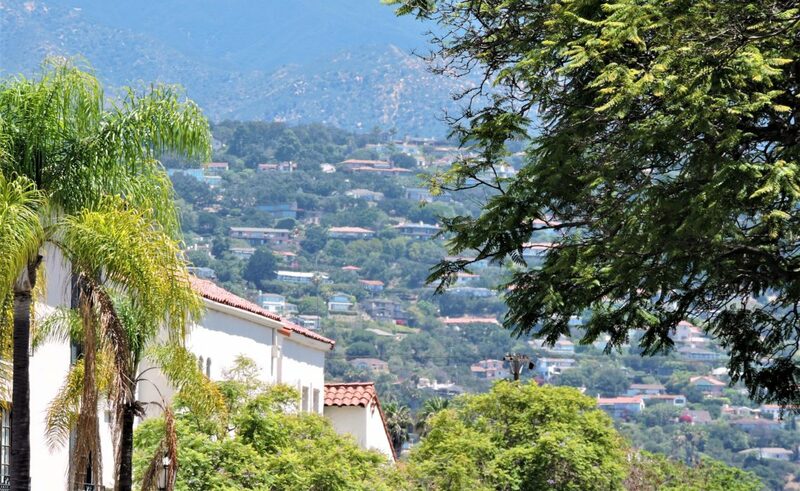 Despite the bitter story about the origin of the name, Santa Barbara is a very bright and pleasant city. Walking down the streets, you get a feeling that all buildings belong to a different century. White walls, tower-like chimneys, arcades and balconies are just some of the distinguishing features of the beautiful architecture of the city. Even the street sign use such a pretty font style that it looks like they have been taken straight from a kids’ movie. Honestly, I can go on and on describing the streets of Santa Barbara but let me stop here and go directly to the places that you might want to visit if you happen to be in the city for 12 hours. One of the most significant places in Santa Barbara, Mission Santa Barbara attracts great amount of tourists each year. 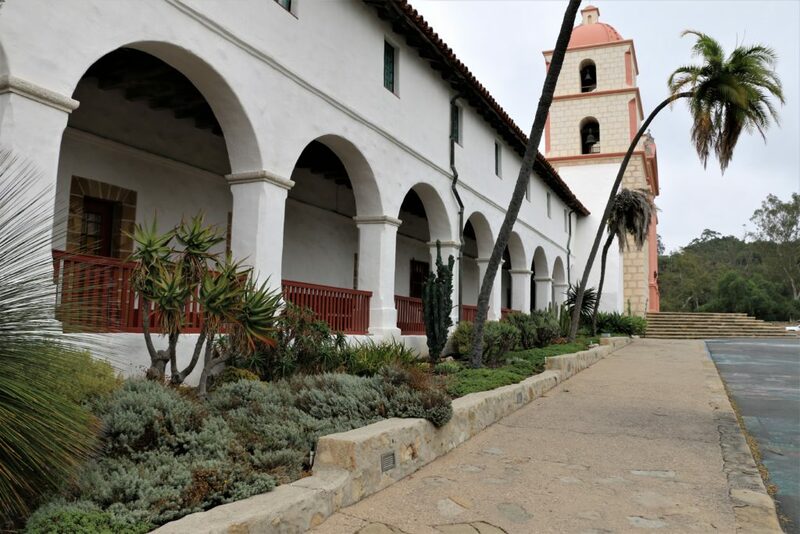 Visiting the Mission is by far the best way to learn the intriguing history of Old Santa Barbara. The astounding structure with its Historic Cemetery and Mausoleum, a large museum featuring sacred relics of former days of the Mission and beautiful gardens filled with ancient plants eagerly unveil the tales about the conversion of Native Americans to Christianity. Courthouse?.. Aren’t they all look alike: boring and unwelcoming? Definitely not the case with Santa Barbara Courthouse. Built in 1929 in Spanish Colonial Revival style, the courthouse, especially its Sunken Tropical Garden, entertains the visitors and residents of the city by serving as a place of gathering and organizing concerts and festivals many times throughout the year. The building itself deserves special attention. Remarkable wall sculptures, original murals, big chandeliers and hand-painted ceilings of the courthouse entice thousands of the visitors from all over the world. The pinnacle of each visit is El Mirador Bell tower, which opens 360-degree views of the city. 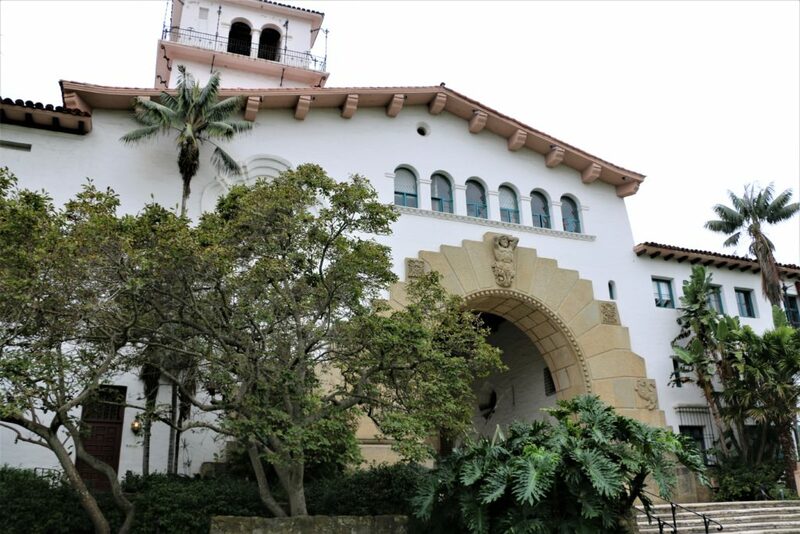 Considering all these, it’s hard to believe that Santa Barbara Courthouse is actually a fully functional courthouse where all legal matters are taken care of. 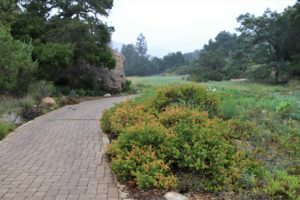 78-acres Santa Barbara Botanic Garden was designed with a sole purpose of showing California-native plants in their natural habitat. The garden is home to more than 1,000 species of plants and a few historical sites. 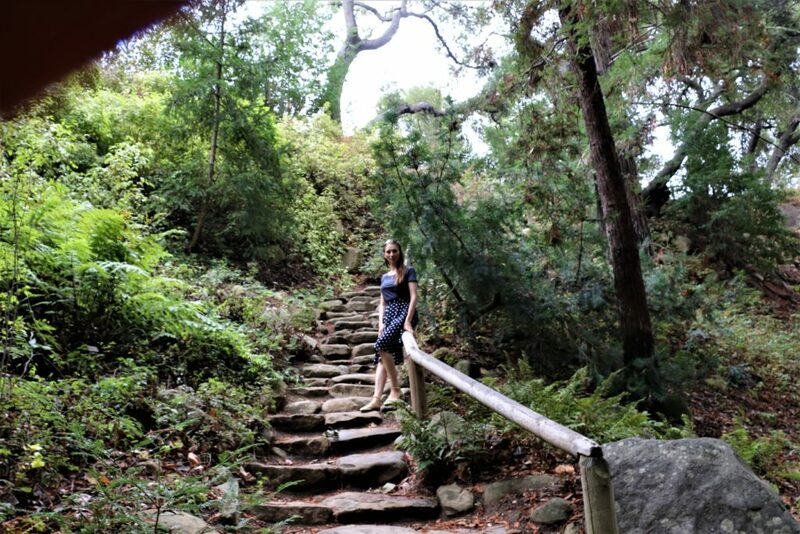 Mission Dam and Aqueduct, built in 1807 to supply fresh water to the Santa Barbara Mission; Campbell Bridge, constructed in 1941 to access the Canyon areas on the west side of Mission Creek, authentic Japanese Teahouse and steep Indian Steps are just a few of them. 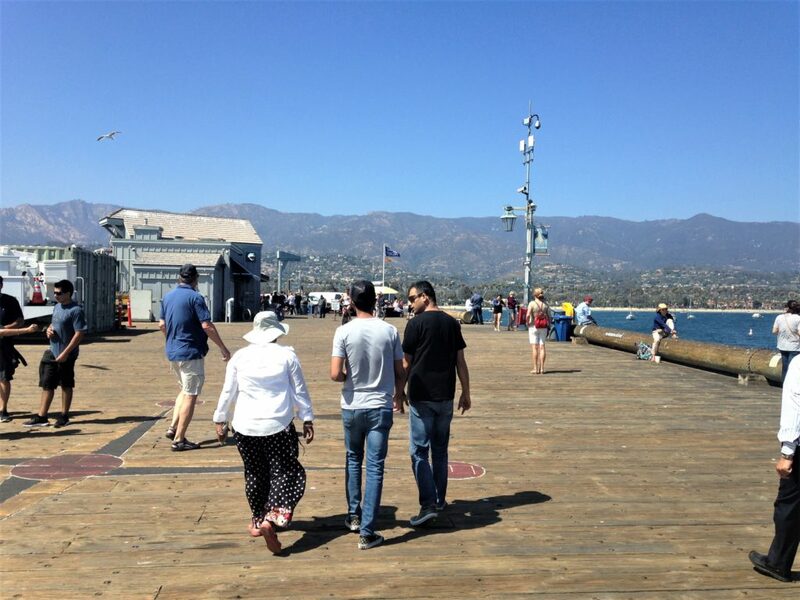 Named after its builder John P. Stearns, Stearns Wharf is a pier located in Santa Barbara Harbor. It used to be known as the longest deep-water pier between Los Angeles and San Francisco at the time of its completion and accommodated the passengers and cargo ships for more than 25 years. Today it is one of the favorite places in the city. With a few full-service restaurant, gift and souvenir shops, candy store, ice-cream parlor and marine museum, Stearns Wharf offers plenty of things to do for all its visitors. 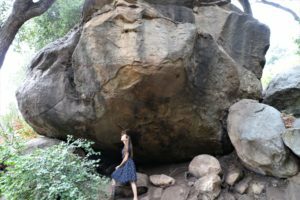 Better known by its old name Wilcox Property, Douglas Family Preserve is a public park located on an isolated flat-topped hill above Arroyo Burro Beach. 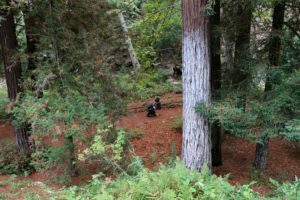 The place was named after actor Michael Douglas who contributed $600,000 towards acquisition of the property by the Trust for Public Land. Nowadays, the park is very popular among the residents of the city who like to take a stroll, hike and jog here. 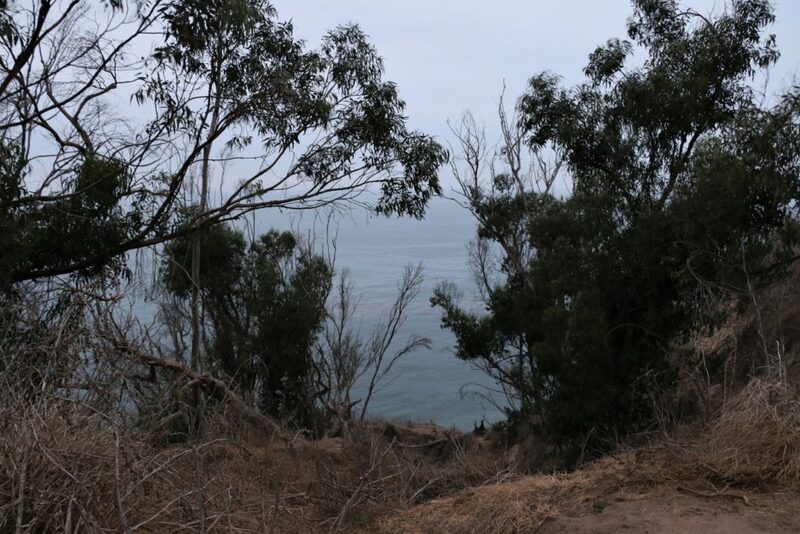 Douglas Family Preserve with its steep cliffs is also great for whale and dolphin watching. I know it’s just a restaurant… But it could be easily classified as one of the interesting places to visit in Santa Barbara. 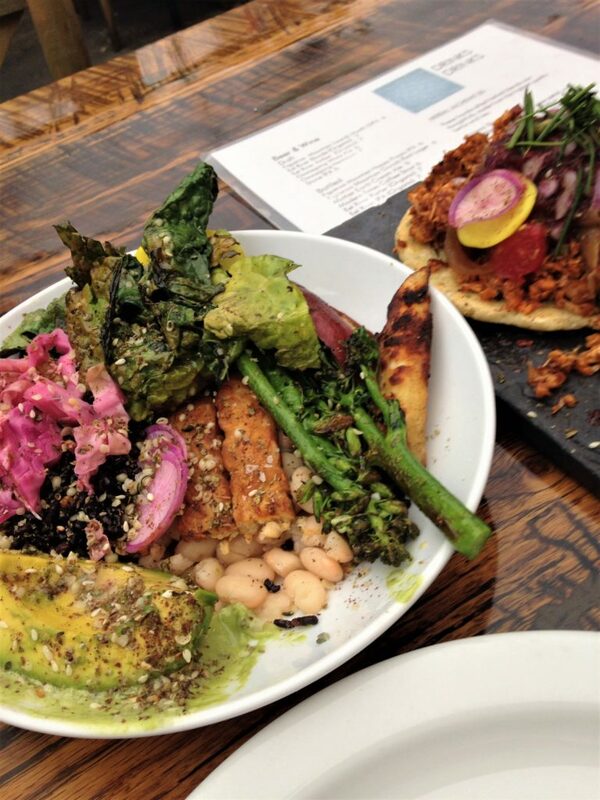 Relatively new restaurant (opened in 2014) serves Mediterranean-inspired vegan and vegetarian dishes. 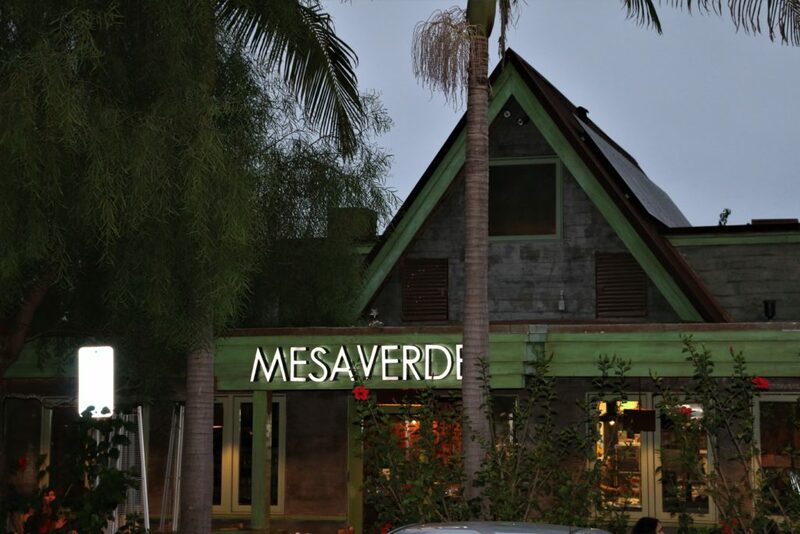 The food is so good that even meat-eaters are pleased with it and periodically make their way back to Mesa Verde. I personally fell in love with their street tacos that use jackfruit as the main ingredient. Who would’ve thought that the fruit can be so delectable! 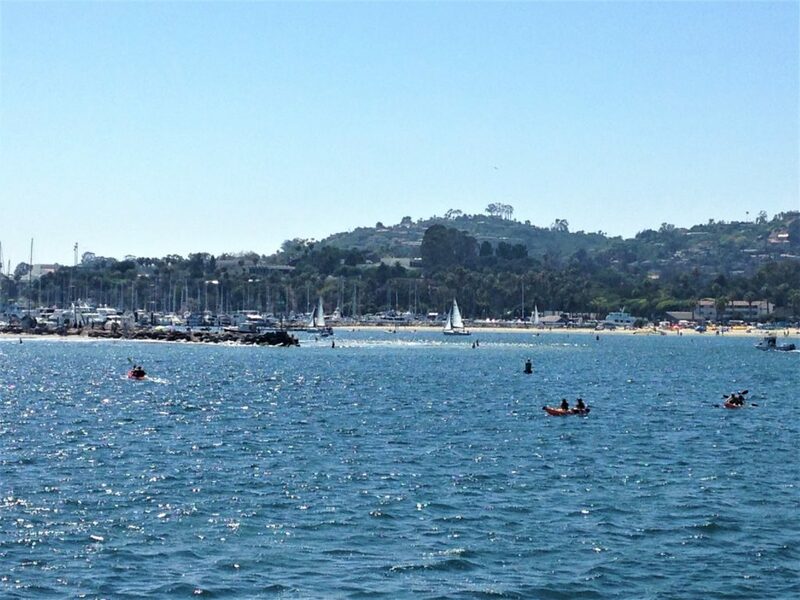 From the historically important Mission Santa Barbara and Santa Barbara Courthouse to the entertaining Stearns Wharf, the city mesmerizes and surprises its visitors by being able to meet their high expectations. If you are planning to visit Santa Barbara, I would suggest you to stay a little bit longer and explore more of this incredible “American Riviera”. Don’t forget to share your experiences with us in the “Comments” section below. You really should go there considering that you live not that far away from Santa Barbara. It can be just one-day trip or a nice weekend getaway. Wow, cool post. Id like to write like this too – taking time and real effort to make a great article but I procrastinate too a lot and never seem to get started. Thanks though. Can I just now say that of a relief to locate somebody who truly knows what theyre speaking about online. You actually know how to bring a difficulty to light and function out it crucial. you surely possess the gift. I was recommended this internet web site by my cousin. You are remarkable! Thanks! Its like you read my mind! You appear to know so much about this, like you wrote the book in it or something. I feel which you can do with some pics to drive the message home a bit, but instead of that, this is fantastic weblog. A fantastic read. Ill surely be back. Only a smiling visitant here to share the adore (:, btw fantastic style and style . Merely wanna state that this really is very beneficial , Thanks for taking your time to write this. Id require to consult you here. Which isnt some thing Which i do! I enjoy reading a post that can make people feel. Also, appreciate your permitting me to comment! Hello, Neat post. Theres an issue together along with your web site in internet explorer, may check this? IE still will be the marketplace leader and a huge component to folks will omit your fantastic writing because of this difficulty. Hey! I just wish to give an enormous thumbs up for the very good data youve got here on this post. I will likely be coming back to your blog for much more soon. Its like you read my mind! You appear to know a whole lot about this, like you wrote the book in it or something. I feel that you could do with a few pics to drive the message home a bit, but other than that, this really is wonderful blog. A fantastic read. Ill undoubtedly be back.